Accessible restrooms for physically-challenged inaugurated at Coimbatore Railway Junction. 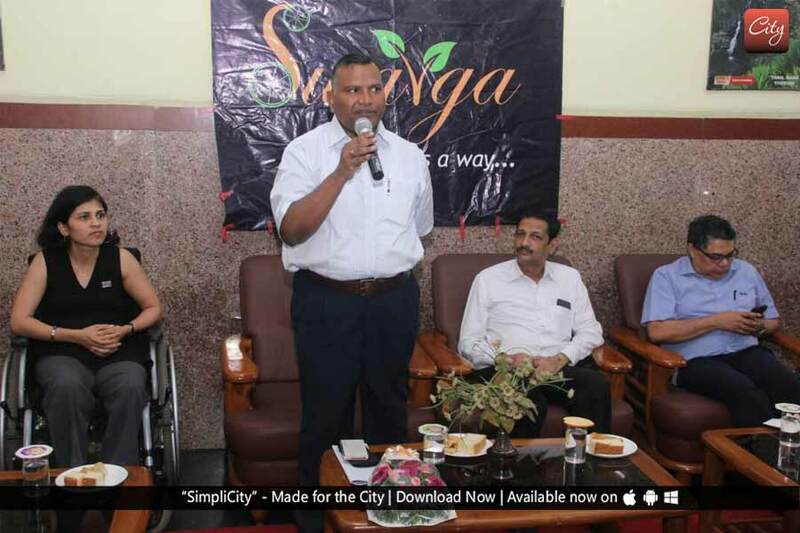 Swarga Foundation, a pioneer in making difference in lives of differently-abled has renovated and made the toilets accessible to the differently- abled at the Coimbatore Railway junction. On the occasion of World Multiple Sclerosis Day the renovated and accessible toilets by Swarga Foundation was inaugurated at the Coimbatore Railway junction in presence of Divisional Railway Manager Hari Shankar Varma. When Swarga Foundation had conducted an audit of three accessible restrooms on the platforms of 1-2, 3-4 and 5-6 of Coimbatore railway junction it was found out that the rest rooms were poorly maintained leaving them unusable for physically-challenged people. “We discussed with Division Railway Manager and necessary permission were obtained to renovate the existing toilets. Repairs including fixing tiles, replacing the rusted iron handles and water taps were carried out.” Said Swarnalatha of Swarga Foundation. “Apart from that we also expressed our wish to convert one regular restrooms in the AC waiting lounge into an accessible one as the other restrooms were at the far end of the platforms. The restroom near the AC lounge is now having a sliding door, ramp with a western closet provided with a supporting grab bars.” She said. We are also planning to take up the renovation of toilets in Podanur, Tiruppur and Erode cities too." said Swarnalatha Managing Trustee of Swarga Foundation. Hari Shankar Varma Divisional Railway Manager shared "We in Railways have a policy to make the stations disabled - friendly and accessible. But we lacked the expertise I am glad that Swarnalatha took the lead and executed this work and the work was completed within the stipulated time. Such initiatives will help in educating the railway employees too". “The work was completed with Rs.8 lakh and Swarga Foundation would be roped in to take up renovation work of toilets in 2017 fiscal itself." the DRM said.